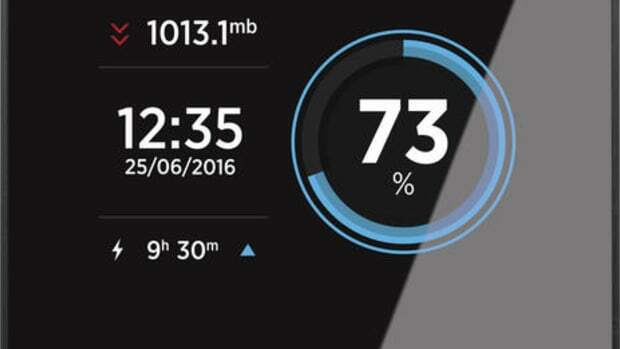 GoFree Vessel is the online component of GoFree Connected Vessel, and the screen above shows the unique TripReplay feature that will be available with some service plans. You can re-enjoy a cruise or a fishing adventure with all sorts of collected boat data plus geo-positioned photos, and you can share such trips via social media. And that&apos;s just a fun benefit of the system design. 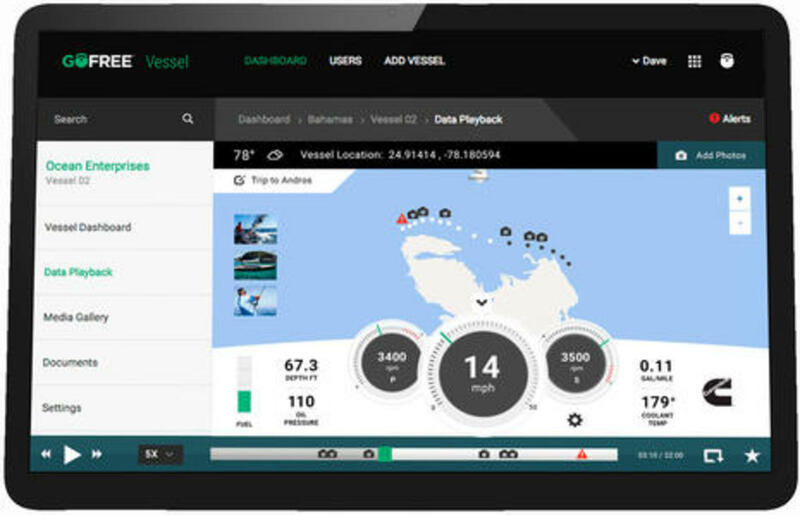 The online Vessel dashboard, along with the GoFree Track Full-time Engine & Monitoring hardware, can also take care of traditional monitoring tasks like high bilge alarms and geofence theft protection. Remote control of appropriate devices like deck lights and air conditioning is supported, and the data logging routines are optimized to help you or your techs troubleshoot engine problems. 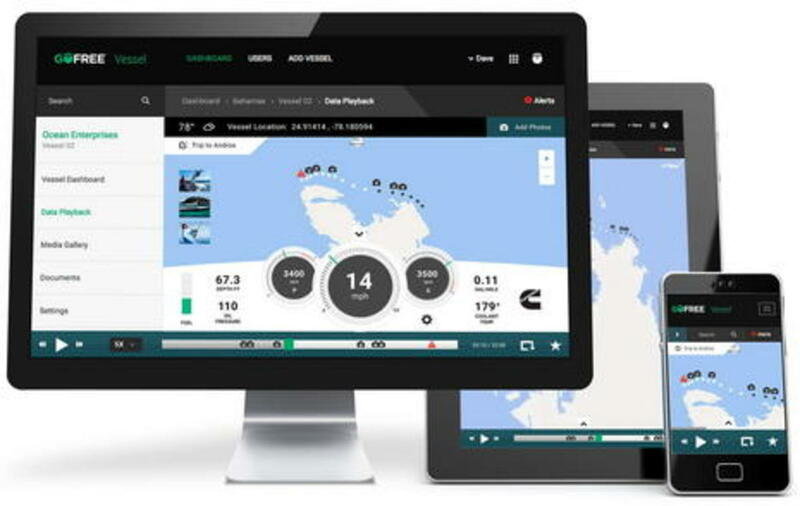 When you think about it, there are so many benefits possible when you connect lots of boat sensing with Internet cloud data storage and smart software. I know that the GoFree developers have thought about it a lot, and here&apos;s an impressive TripReplay detail: Charter fleet companies that install GoFree Track systems to remotely monitor their assets will also be able to give limited data access to clients, so that you or I can add our charter trips to the personal GoFree Vessel site where we may also keep track of our own boat(s). That&apos;s smart! 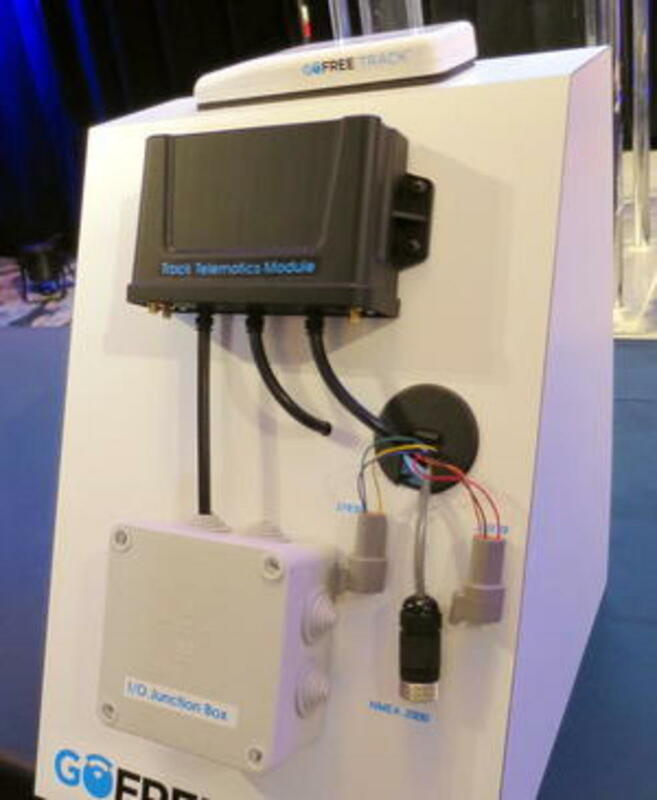 Wireless communications are key to a connected boat and GoFree Track seems to offer every possibility. 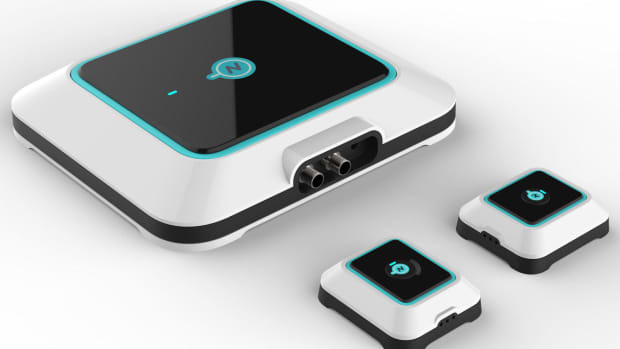 If you download the brochure, you&apos;ll see that the WiFi model will retail for $799 with free basic connected services like geofencing and email alerting up to five sensors. An $8 per month WiFi HD plan gets you lots more data, online dashboard access with TripReplay, remote controls, and much more. And since the Track device "automatically stores over a month&apos;s worth of complete vessel, engine, and navigation data," you will still get online access to your underway data even if you only use marina WiFi for automatic uploading (and watching the boat when you&apos;re ashore). 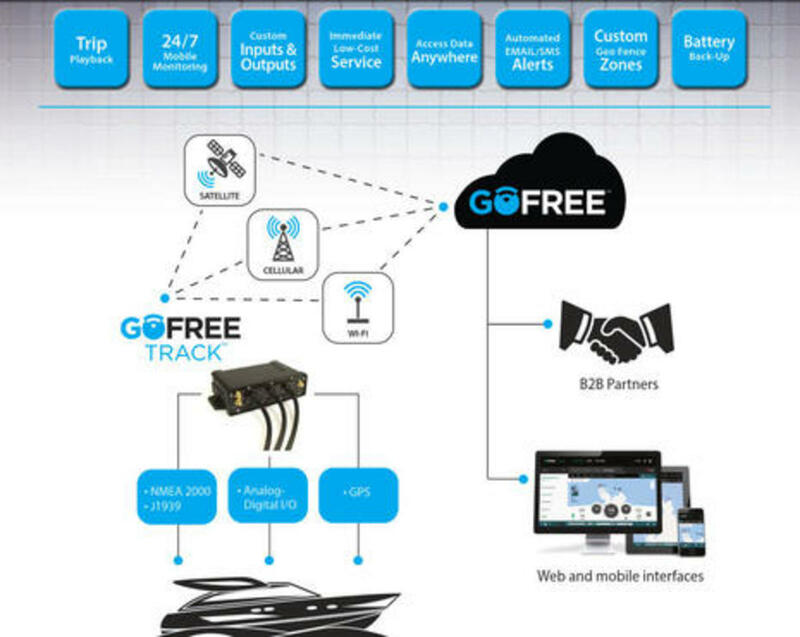 That black GoFree Track Telematics Module can connect not only to the oblong GPS/WiFi antenna, but also to a boat&apos;s NMEA 2000 network and to one or two engines using the J1939 data protocol. I believe that the module will even bridge J1939 gauge info to the boat&apos;s N2K screens -- a nice added feature -- and it also collects the engine data at very high sample rate. That data is normally downsampled for regular logging and online display like the TripReplay, but if an alarm is tripped, the high resolution data before and after the alarm is saved for troubleshooting. That&apos;s thoughtful! Meanwhile, the cable going to the beige breakout box above apparently includes 8 digital inputs -- 4 of which are dedicated to available GoFree entry, temp, shore power, and high water sensors -- and 6 analog to digital inputs, as well as 5 digital outputs and a RS232 port. 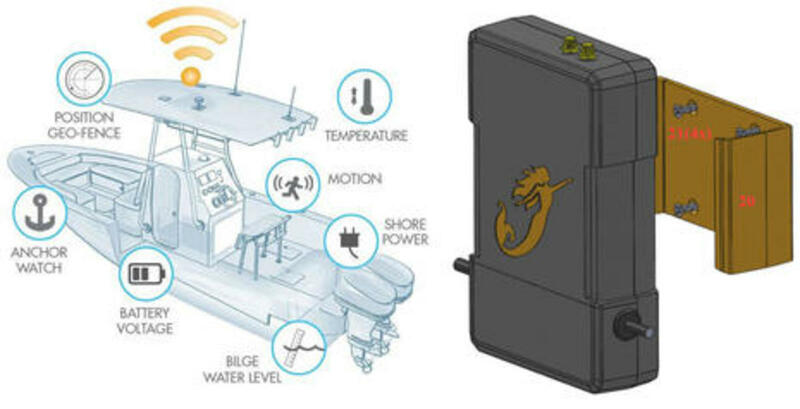 In other words, it seems like a GoFree Track module could be easily set up to collect a lot of useful boat data and also monitor a few basic security sensors, but it can be further customized with multiple sensors and relays. I&apos;m not sure how an installer will access the Track&apos;s setup software, but hopefully it can be done via app or browser and WiFi, and of course, it also seems possible that Simrad, B&G, and Lowrance multifunction displays will eventually get Track interfaces, the Navico effect. 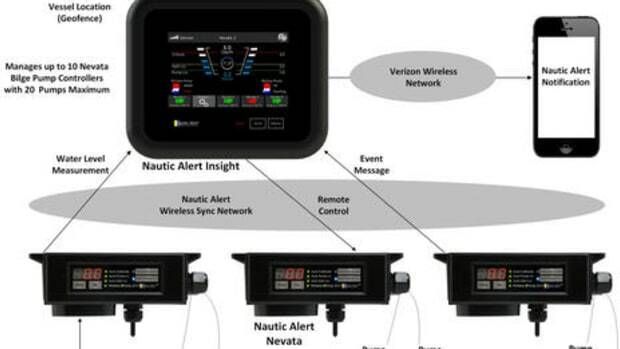 Come to think of it, isn&apos;t it possible that a boater with a Navico display and a Track system with the Iridium connection may eventually be able to message with friends, family, and support services from anywhere on the water, while also sharing track and other data with them via GoFree Vessel pages? 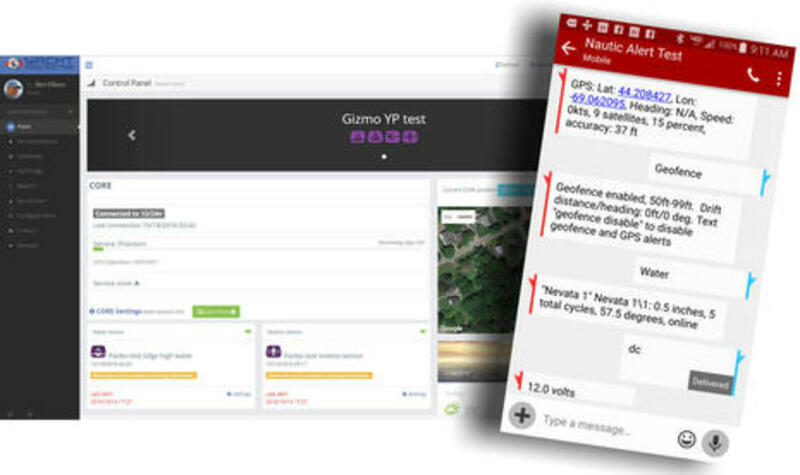 And isn&apos;t it possible that we&apos;ll soon see something similar from Garmin since they acquired the excellent DeLorme inReach Iridium messaging system last February? 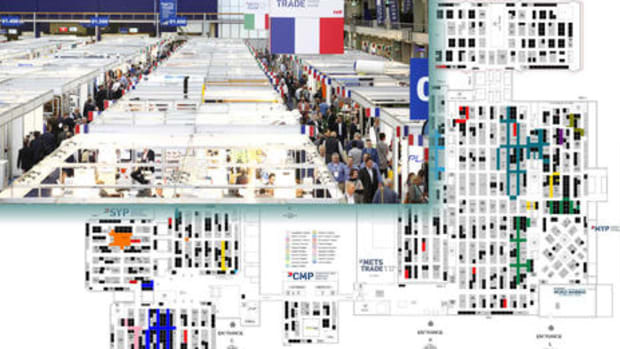 But I should shut up for now, as the GoFree Connected Vessel system seems quite ambitious as is, and it&apos;s just coming to market. 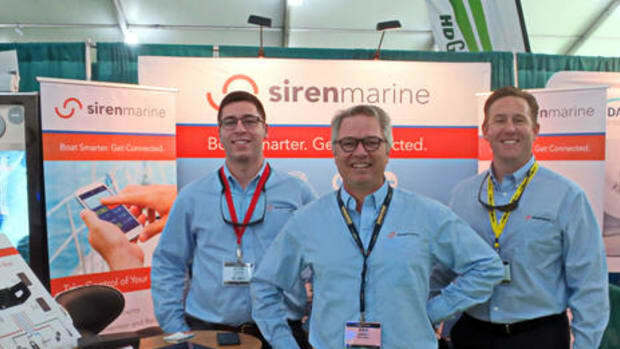 The details of Siren Marine&apos;s several new MTC systems are less accessible -- little is online yet except for this Siren blog entry and this Providence Journal business article -- but I do know that Siren has already been providing cellular monitoring, tracking and control on many boats for many years (Panbo review here), and that means a lot. 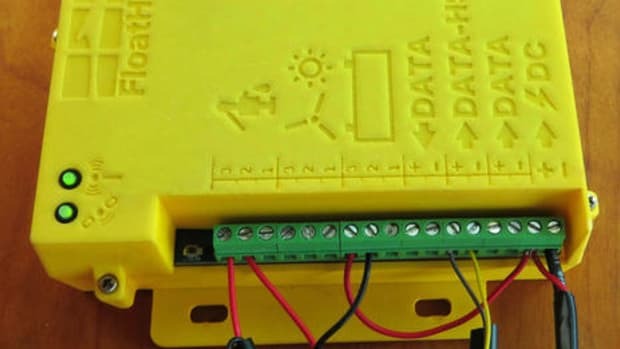 Just moving sensor data off the boat is a complex path strewn with potential points of failure, but a monitoring system should not only be reliable but easy to use. 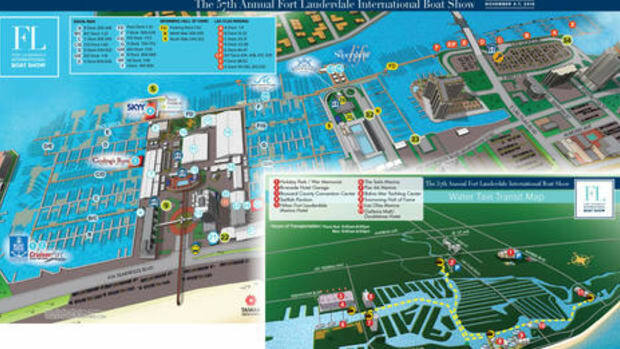 The devil is very much in details the average boater doesn&apos;t really want to know about. Full hardwired capability "if desired through the most convenient and installer friendly terminal interface achieved to-date through our proprietary enclosure design"
Amperage! "Yes, advanced battery monitoring will be available, though at first only high charge and draw alerts will be the main use, along with amperage reporting and history." Video -- both on-demand and device initiated by sensor input. WiFi -- "initially for local access to the device in the absence of cellular, but may eventually be a WiFi hotspot for software updates for other onboard devices and general internet access." "The most advanced and easy, plain English user rule set capabilities ever achieved in boat monitoring for each input and sensor." 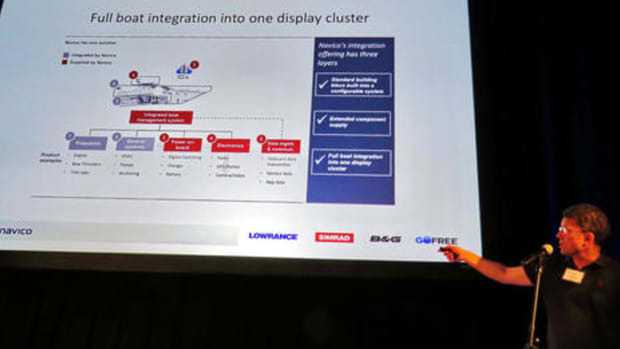 I look forward to learning more about both the GoFree and Siren connected vessel systems and hopefully testing them. In fact, Gizmo will stay in the water all this winter in Maine (and I&apos;m hardly going to any fall shows) largely so I can deep dive into systems like these (and make some needed repairs). 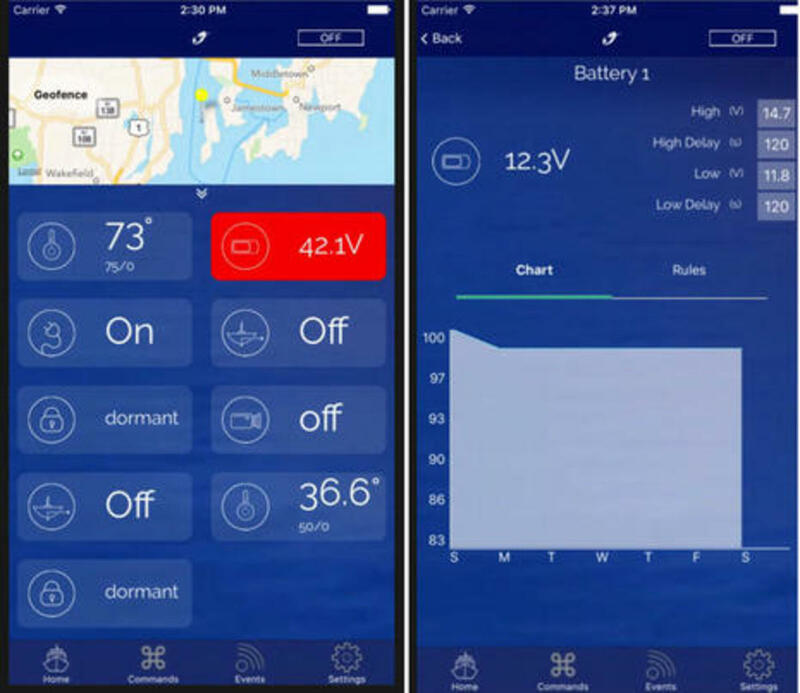 I&apos;ve already begun testing the highly wireless Yacht Protector system -- just DAME Design Award nominated under its European brand name Dokensip -- and I&apos;ve fallen surprisingly in love with the bilge centric Nautic Alert system. Yes, I can now text Gizmo and get back a bilge water level measurement accurate to 0.1 inch, and that&apos;s just the icing on the cake. Full review coming soon.